September 22, 2015 – For the first time in more than 30 years, you can witness a supermoon in combination with a lunar eclipse. Late on September 27, 2015, in the U.S. and much of the world, a total lunar eclipse will mask the moon’s larger-than-life face. Watch NASA’s live stream from 6:00 p.m. until at least 8:30 p.m. MDT broadcast from Marshall Space Flight Center in Huntsville, Alabama, with a live feed from the Griffith Observatory, Los Angeles, California. Mitzi Adams, a NASA solar physicist at Marshall will discuss the eclipse and answer questions from Twitter. To ask a question, use #askNASA. 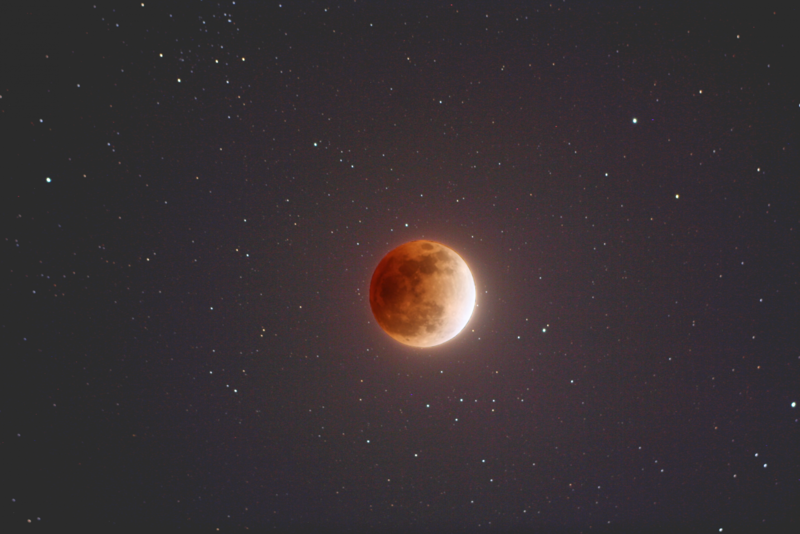 Throughout human history, lunar eclipses have been viewed with awe and sometimes fear. Today, we know that a total lunar eclipse happens when the full moon passes through the darkest part of Earth’s shadow, the umbra. Sunday’s supermoon eclipse will last 1 hour and 11 minutes, and will be visible to North and South America, Europe, Africa, and parts of West Asia and the eastern Pacific. Weather permitting, you can see the supermoon after nightfall, and the eclipse will cast it into shadow beginning at 6:11 p.m. MDT. The total eclipse starts at 8:11 p.m. MDT, peaking at 8:47 p.m. MDT. The live feed from NASA’s Marshall Space Flight Center will offer views of the eclipse from not only the Griffith Observatory, but the Adler Planetarium in Chicago, Fernbank Observatory in Atlanta and other locations across the United States. The live feed is an alternative for those experiencing less-than-optimal weather or light-polluted night skies. Learn more about eclipses and how NASA’s Lunar Reconnaissance Orbiter (LRO) will wait as Earth blots out the sun and the moon goes dark. LRO scientists embrace new possibilities, extending their scientific exploration to include eclipses and other events that can reveal more of the moon’s secrets. If you miss this event, you’ll have to wait a while — the next supermoon eclipse won’t occur until 2033.